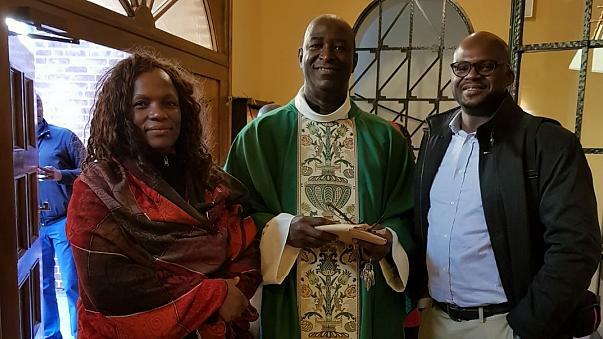 A francophone priest from Congo was killed Thursday night in Berlin and his alleged murderer arrested but the reasons for the crime remain unknown, said the police and his parish Friday. The victim of 54 years is the parish priest of the French Catholic Parish of Berlin, Alain-Florent Gandoulou, according to the French Catholic Communities in the world who announced his death on their Facebook page. The Berlin police discovered a lifeless body after a phone call Thursday night reporting a violent dispute between two men speaking in French. According to Berlin public radio Rbb, the violent altercation took place in a priest's office. Friday noon, more than 12 hours after the crime, police arrested a man on the roof of a Berlin building, suspected of being the author of the murder. Created after the war for French soldiers and their families stationed in West Berlin, the Catholic Francophone parish of Berlin now hosts many Catholic and Francophone Africans living in the German capital. Lord have mercy on the soul of RIP Fr. Alain-Florent Gandoulou. Console his people in this terrible loss.